Is Christmas decorating too complicated? 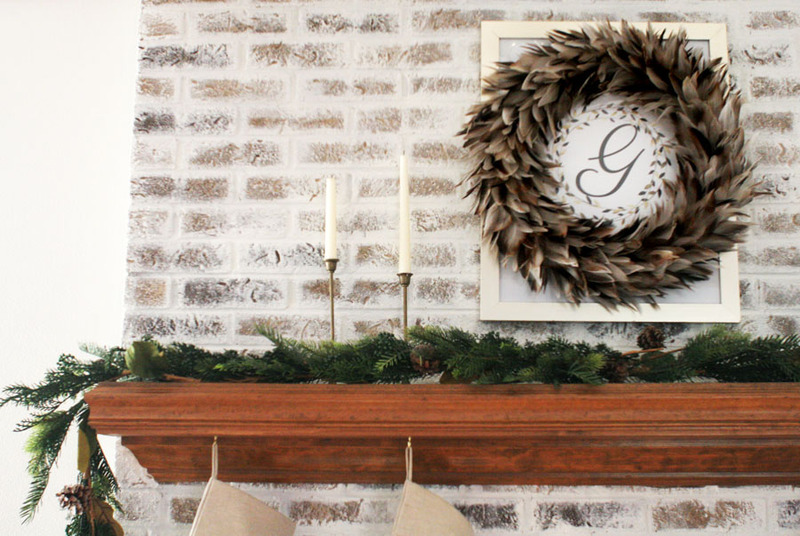 Take a look at over 25 incredibly simple Christmas decorations. Not only are these ideas quick and easy, but they are also timeless Christmas decorations that will work year after year. 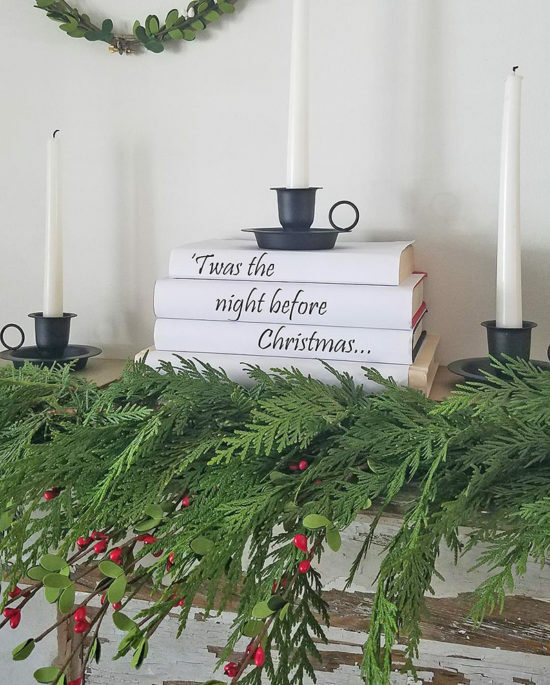 Last week, I shared our Cottage Christmas Home Tour, which is filled with simple Christmas decorating ideas because I’m lazy (or smart? #yourcall) when it comes to seasonal decorating. 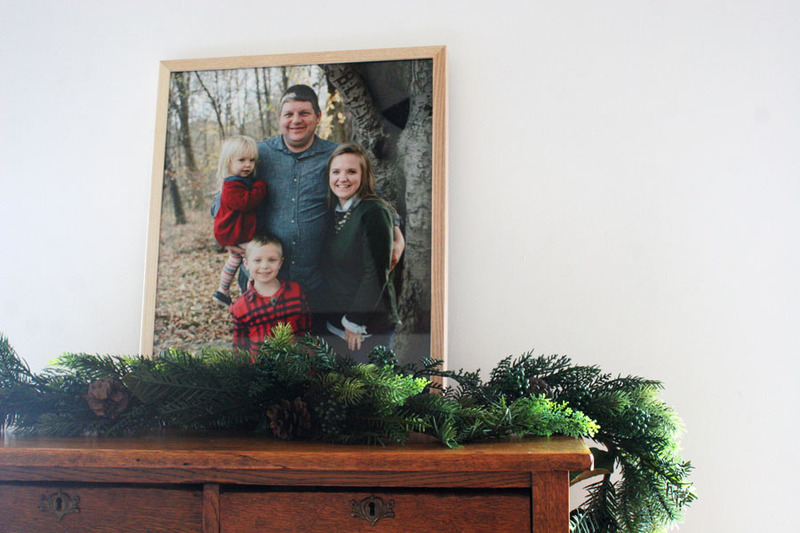 Of course, many of my blogger friends also have beautiful, simple Christmas decorations in their homes, and I’d love for you to go check out their ideas and Christmas tours, too. 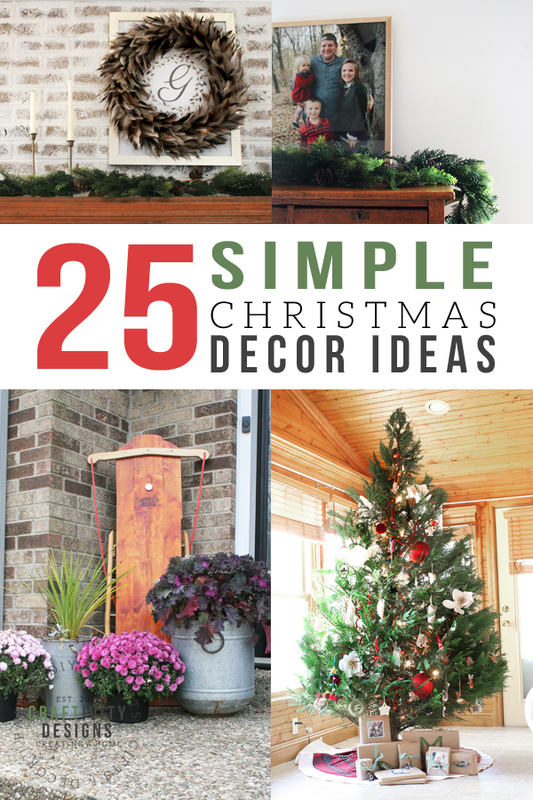 As a little more background, when I polled readers back in October, nearly half of the respondents preferred “Simple Christmas Decoration Ideas” over other seasonal blog content. 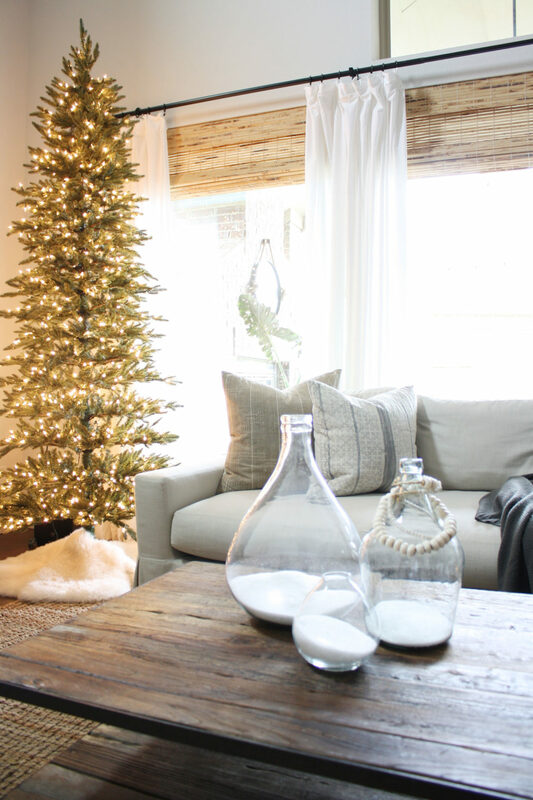 Therefore, this year, I’m hoping to inspire you to decorate simply. Let’s start in the logical place, our front porch! 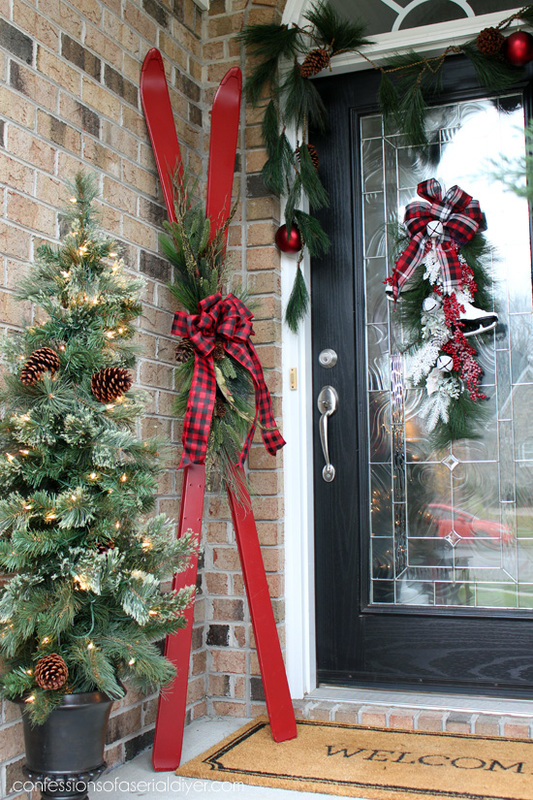 Entry doors and festive porches are the first impressions of our homes; both all year long and at Christmas. Lean an old wooden sled next to the front door, like the porch in this Cottage Christmas Tour. 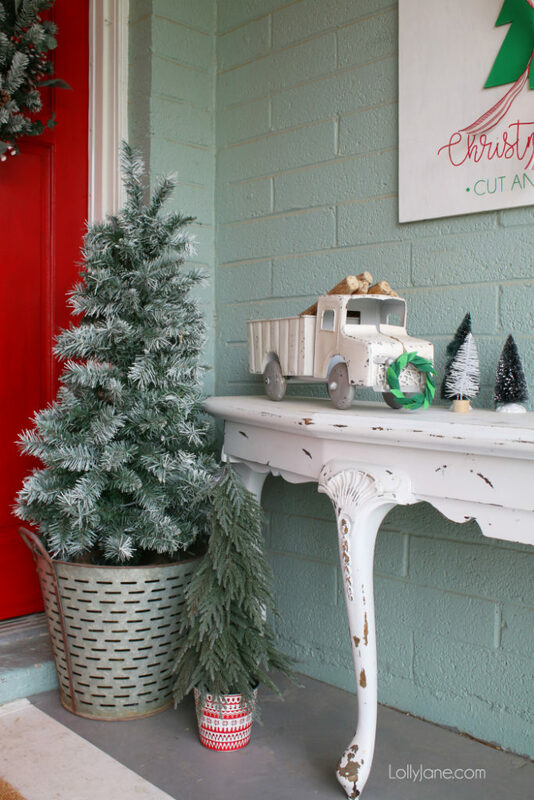 Place a small Christmas Tree in an olive bucket like Kelli did for her Christmas Front Porch. 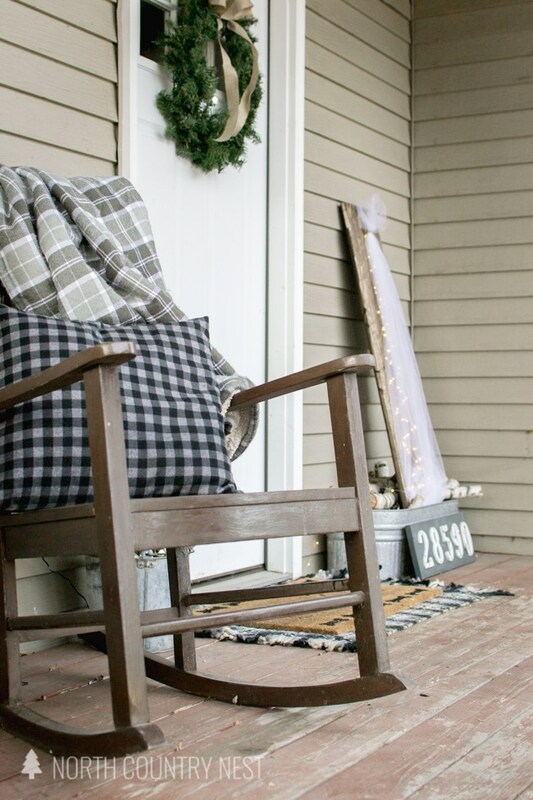 Toss cozy flannels, checks, and plaids over rocking chairs like Kelly’s Rustic Christmas Porch. 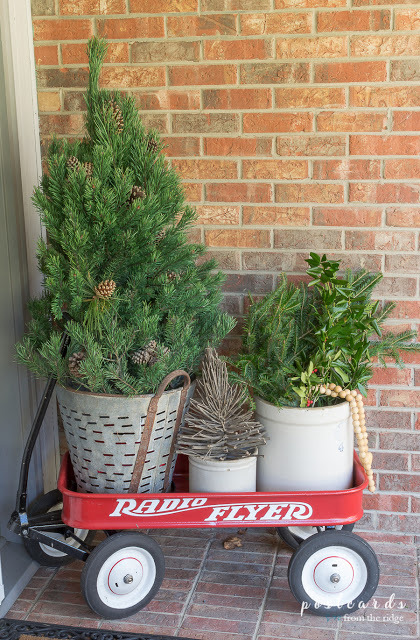 Make a DIY Holiday Swag from evergreen clippings, it’s much simpler than making a wreath. 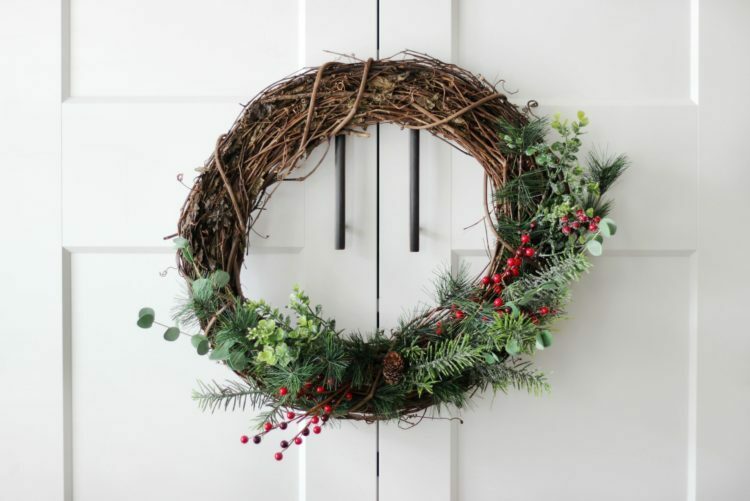 If you do want a traditional wreath for the front door, keep it simple and begin with a grapevine wreath, like this Winter Berry Wreath. 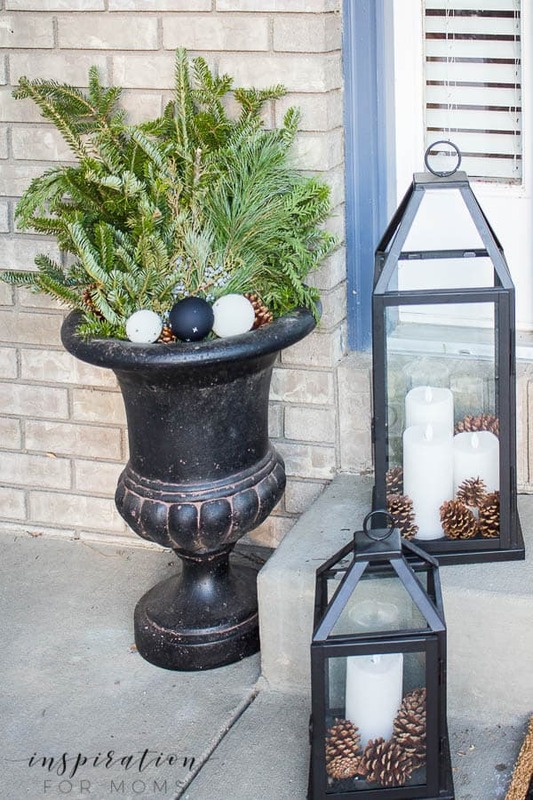 Tuck fresh greenery, pinecones, and ornaments into planters like Mom in Progress did in her Christmas Home Tour. 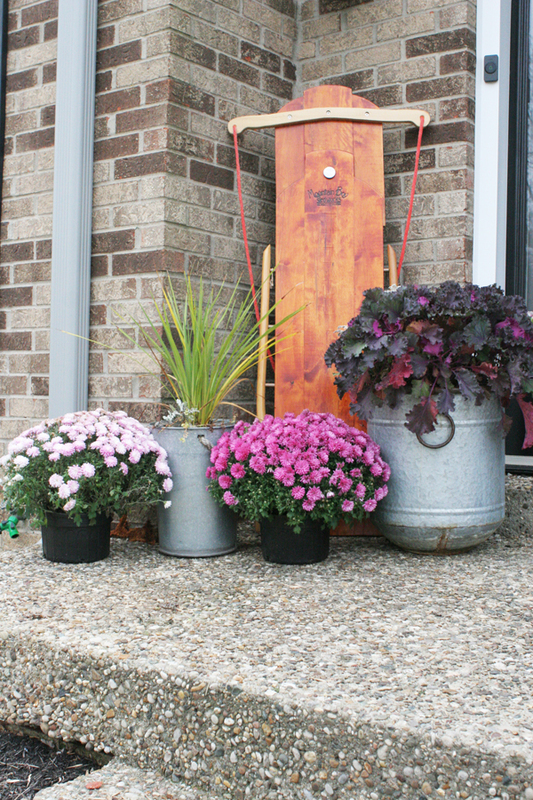 Stand a set of old skis on the front porch, wrapped with greenery for a bit of Christmas cheer! Now, let’s head indoors and take a look at simple Christmas decorations for the living room, dining room, and more. Layer basic green garland atop focal furniture pieces. 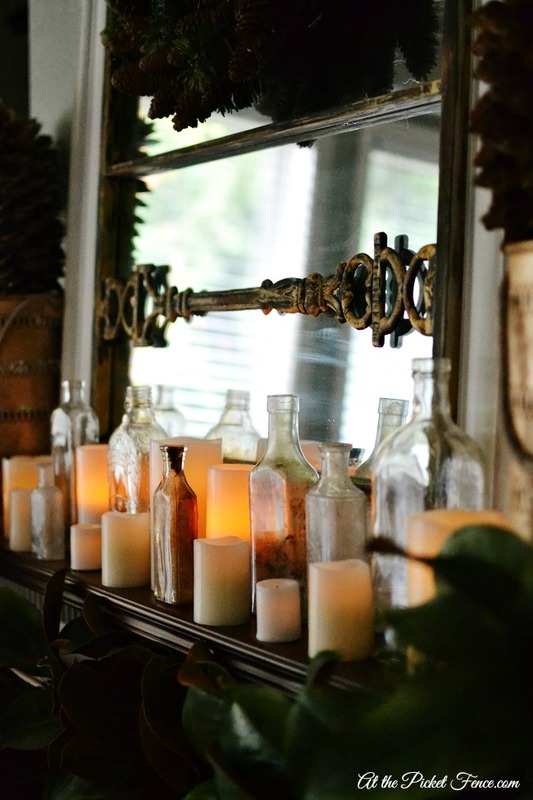 Fill your mantel with vintage bottles and flickering candles for a cozy, warm glow (plus, visit At the Picket Fence for more simple Christmas ideas). 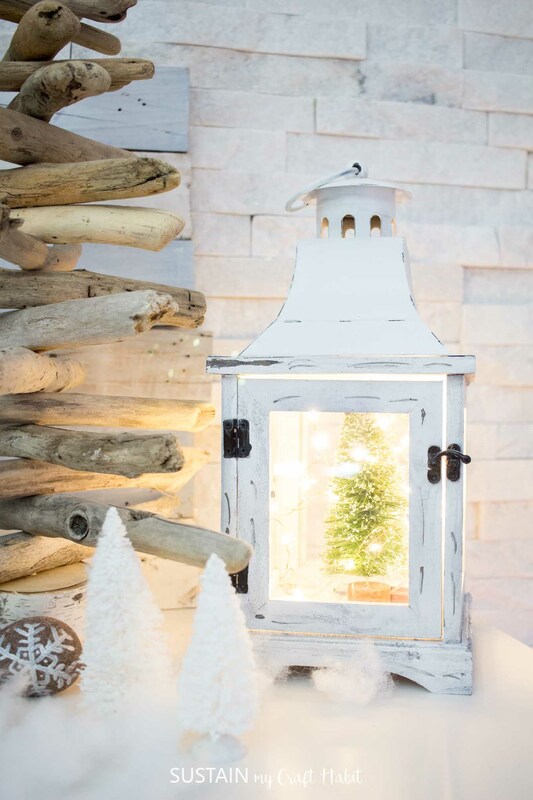 Tuck bottle brush trees and twinkle lights into everyday lanterns like Sonja and Jane did for their Coastal Christmas mantel. 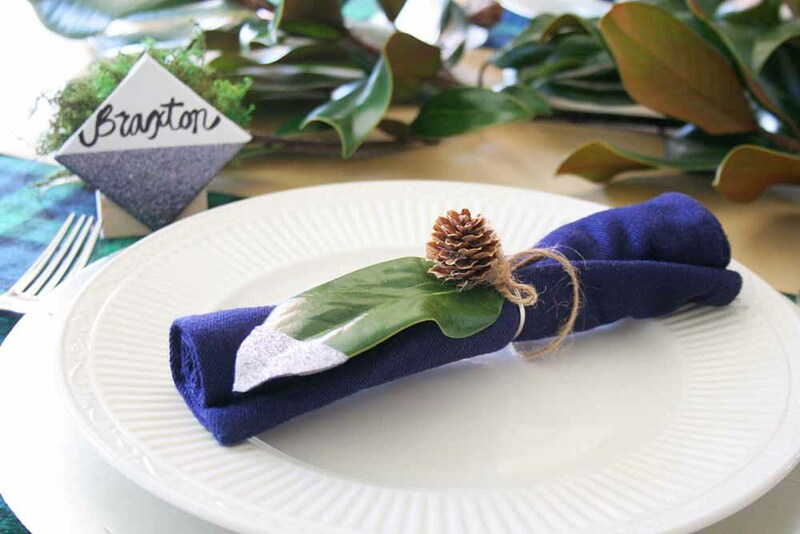 Fill milk glass with snips of fresh greenery as an easy centerpiece (p.s. Kim actually made her milk glass, too!). Layer runners, placemats, and greenery on the table for a cozy Christmas look. 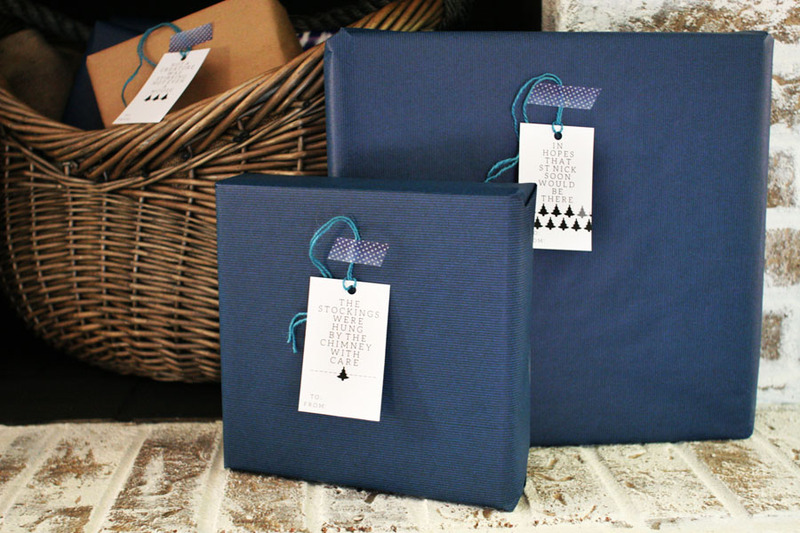 Wrap books in white paper with seasonal phrases (grab the free printable from Honeycomb Home or choose your own Christmas words). 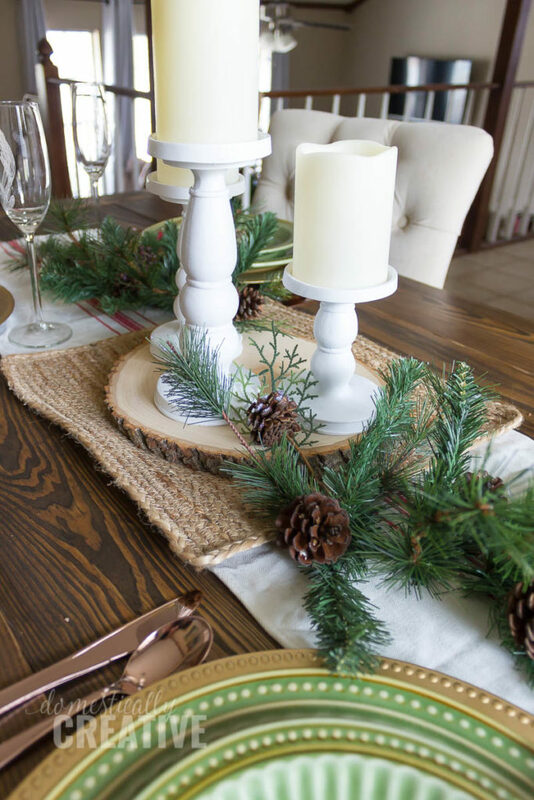 Tuck vintage brass candlesticks amongst greenery for a quick Christmas mantel. 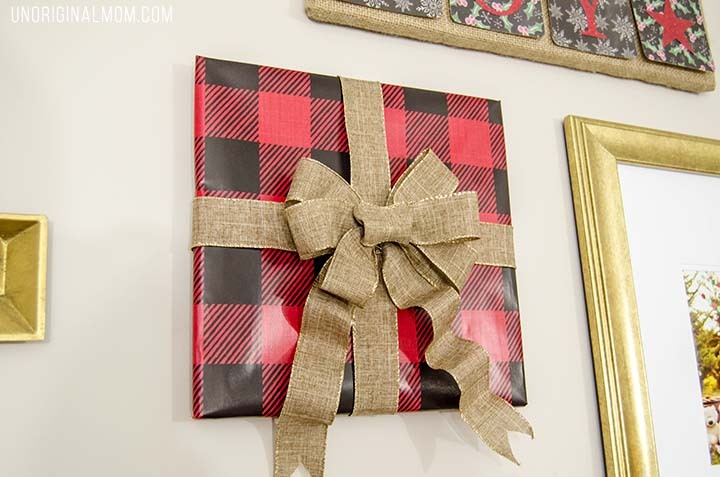 Wrap wall art with holiday paper to quickly take a room from every day to Christmas cheer (visit Meredith to see her Christmas gallery wall)! 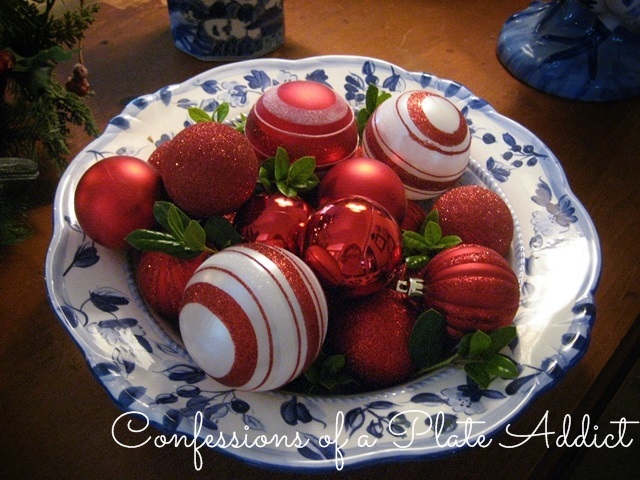 Fill a vintage bowl with shiny Christmas ornaments (plus, check out Debbie’s other last-minute Christmas decorating ideas, too). 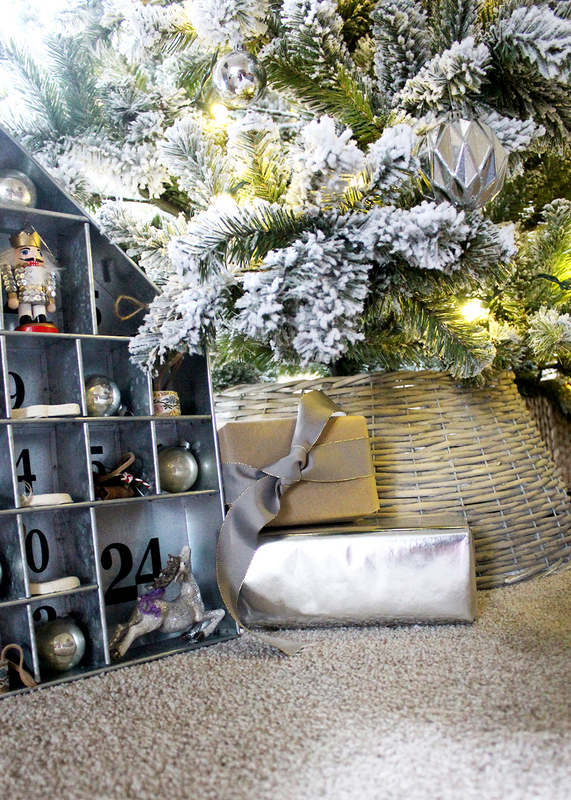 Display ornaments in a shadow box or trinket shelf (visit Tag and Tibby to grab this galvanized display shelf). 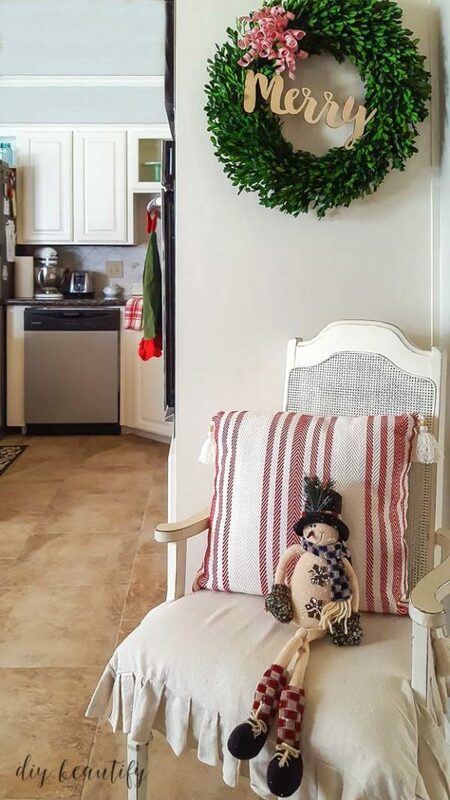 Add a Christmas bow to an otherwise plain wreath (then check out Cindy’s handmade Christmas Tour, filled with red and white decor). 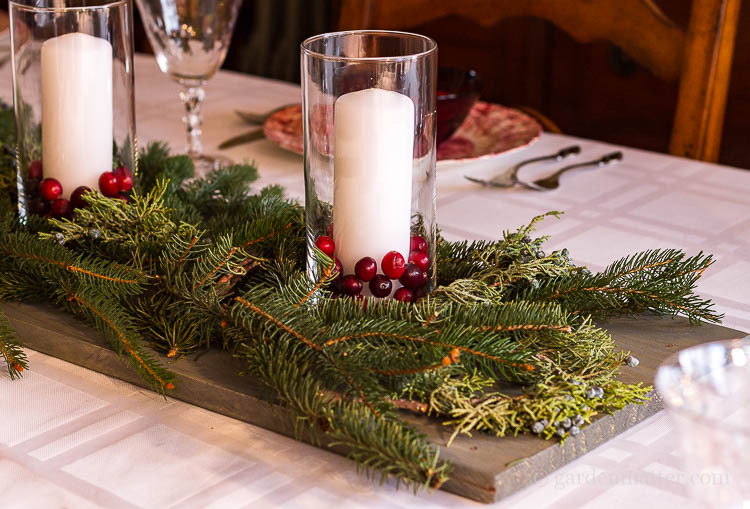 Set the table with an easy fresh evergreen centerpiece, that smells lovely, too! 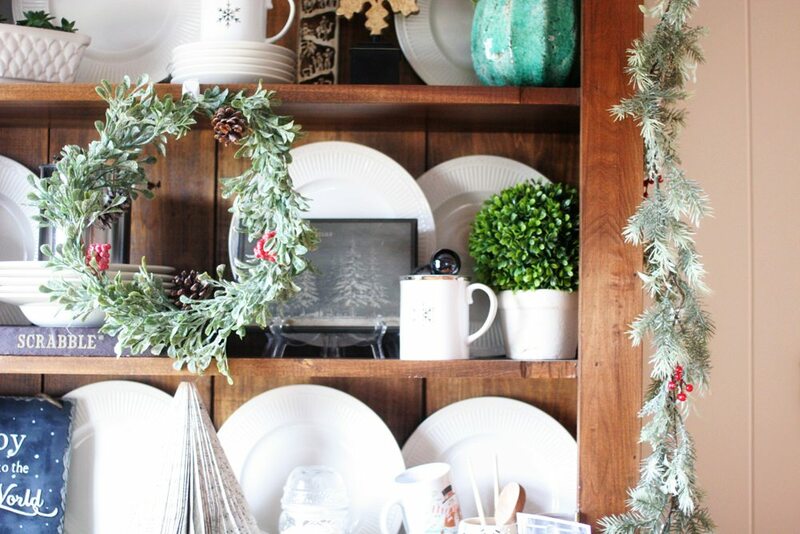 Hang a wreath on the front of a hutch or bookshelf like in this Farmhouse Christmas Tour. 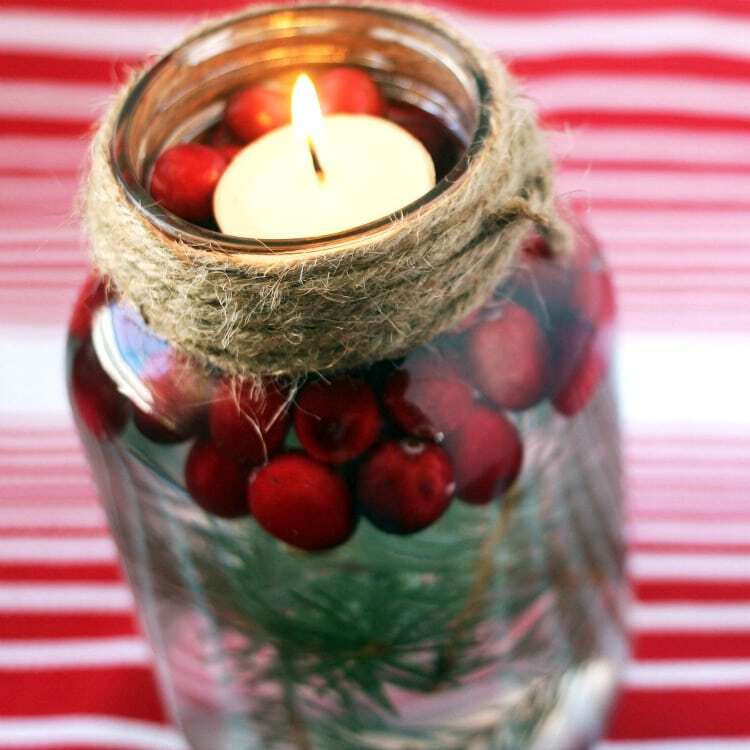 Make a festive candle in minutes with this DIY Holiday Mason Jar tutorial from Mommy Musings. 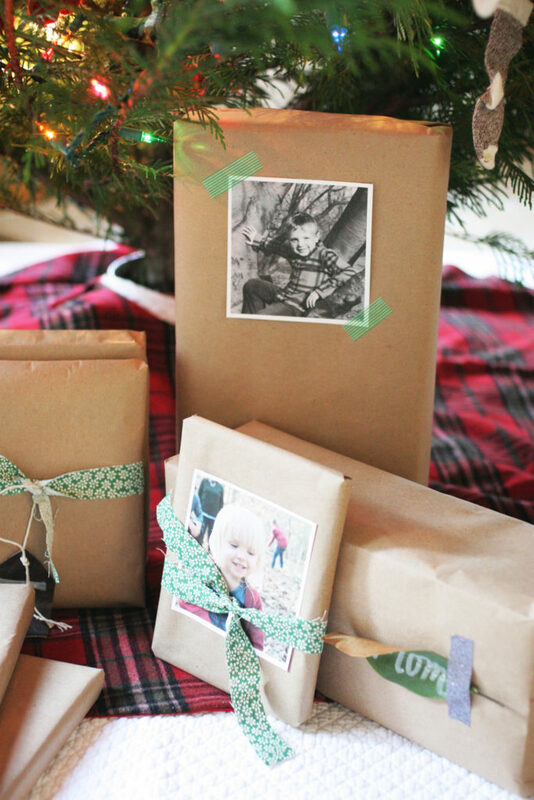 Place wrapped Christmas presents on the hearth of your fireplace. 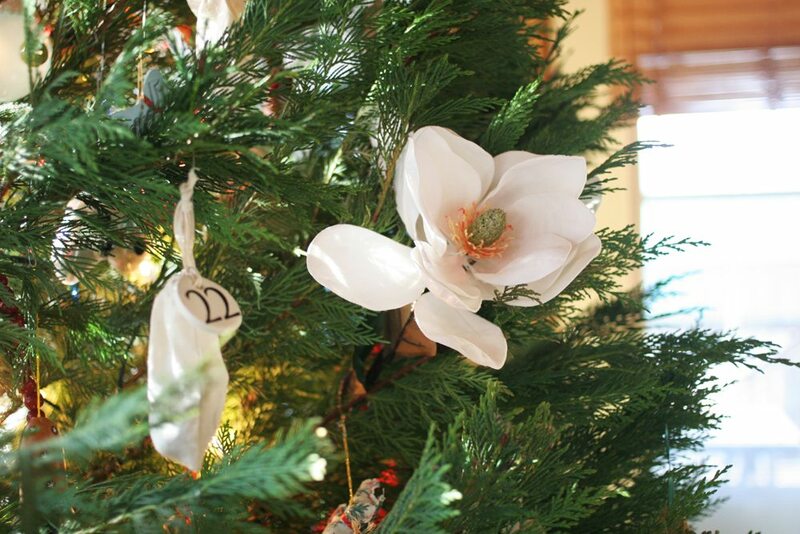 Tuck several large floral sticks into limbs for quick Christmas Tree decorating (I chose Magnolia blossoms!). Skip the ornaments this year, and enjoy an unadorned Christmas Tree (p.s. I also love Shelley’s “snow” in demijohn bottles — go check out which material she used!). 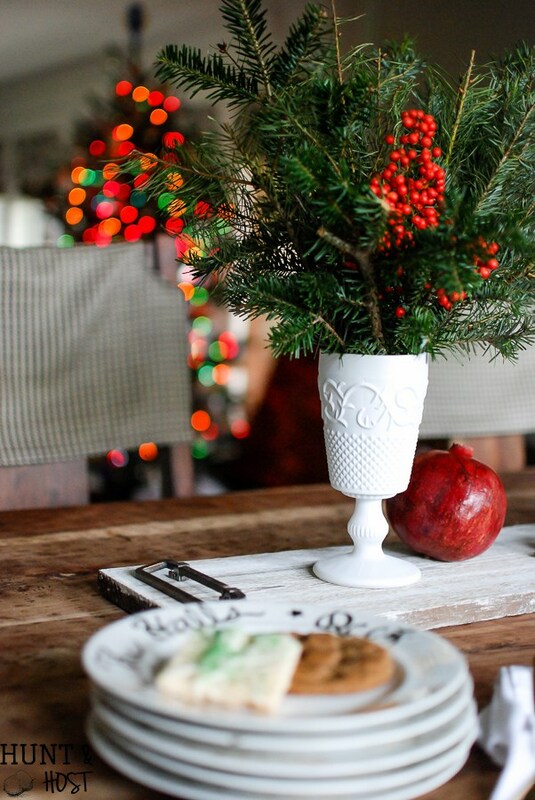 I don’t know about you, but all of these inspiring spaces have me in the Christmas mood! Thankfully, it was an early Thanksgiving this year, and there is still plenty of time to decorate. 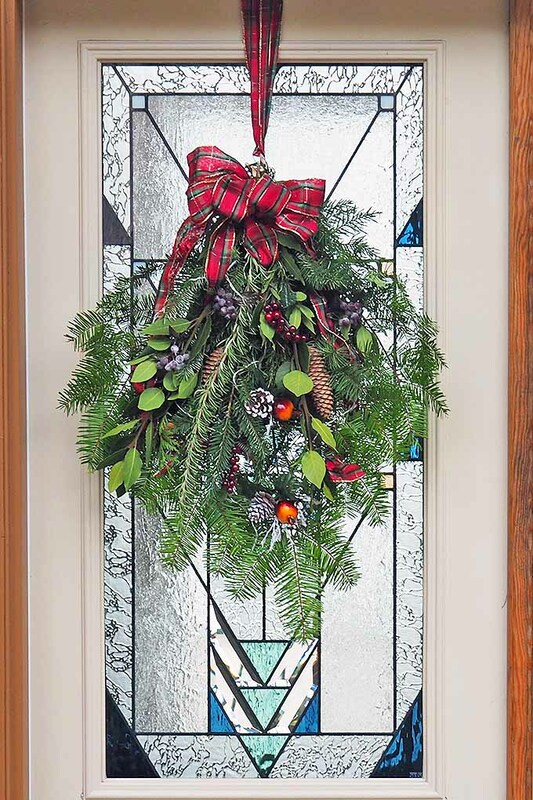 But, if you are stuck decorating last minute — or just want a simple Christmas — these ideas can make your home merry, in no time.